The Brown Davis Tray Tank range is designed to give you maximum fuel capacity at an affordable cost. Dirty Jerry Cans flying around in the back of your tray is a thing of the past. 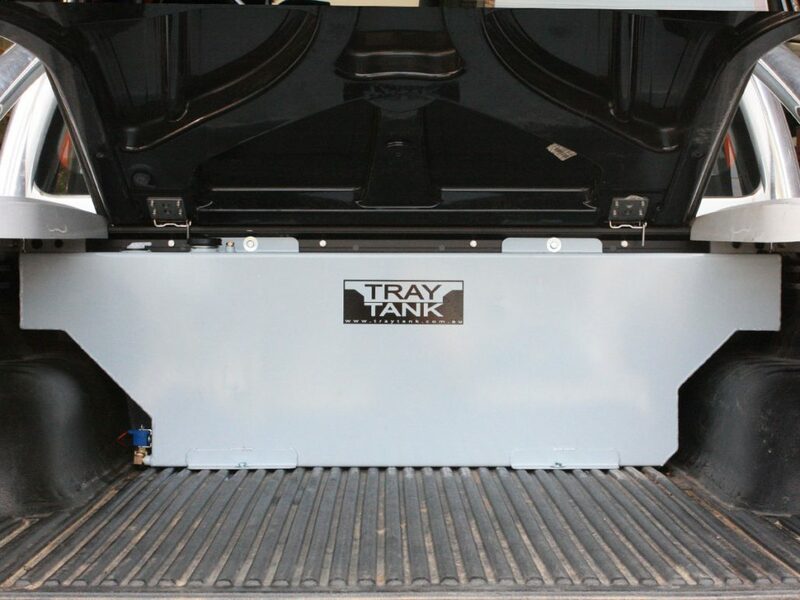 Whether you wish to up your vehicles driving range for a long trip or fill a Bob Cat or equipment the Tray Tank is for you. 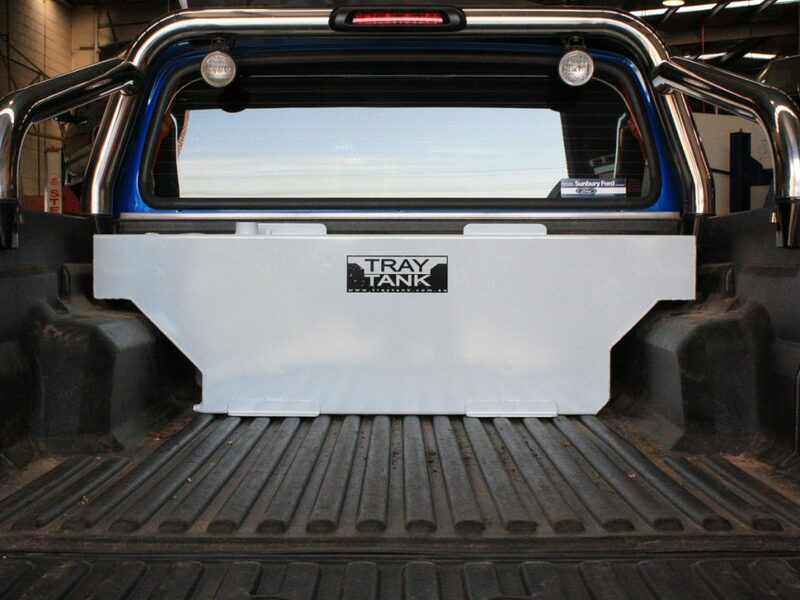 Constructed from Aluminised steel, a Tray Tank is designed to be strong enough to withstand anything that may be flying around in your vehicles tub. Note: Brown Davis has done its best to try all Trays Tanks with different tub liners and hard lids but can not be sure it will fit with all brands. 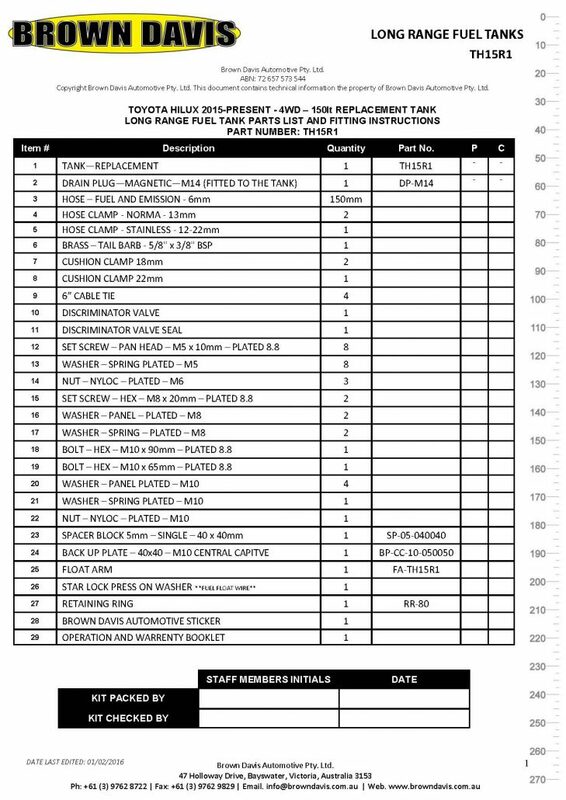 The tub liners and hard lids quoted above are OEM. 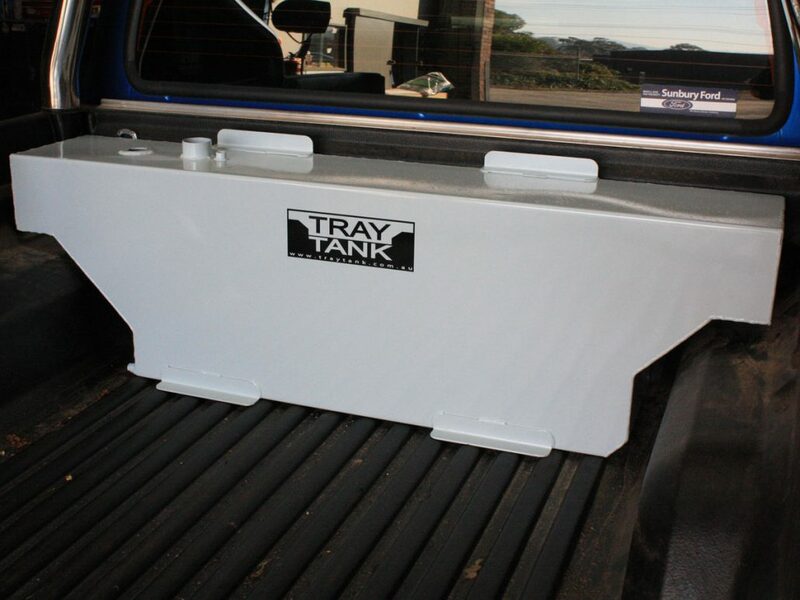 This tank is supplied with all parts to make the Tray Tank gravity feed into your vehicles standard tank. A 12v Solenoid valve and switch to turn off and on the gravity feed is also supplied. Wiring and hoses supplied. Being a universal tank some spacing, drill and small mods may be required. 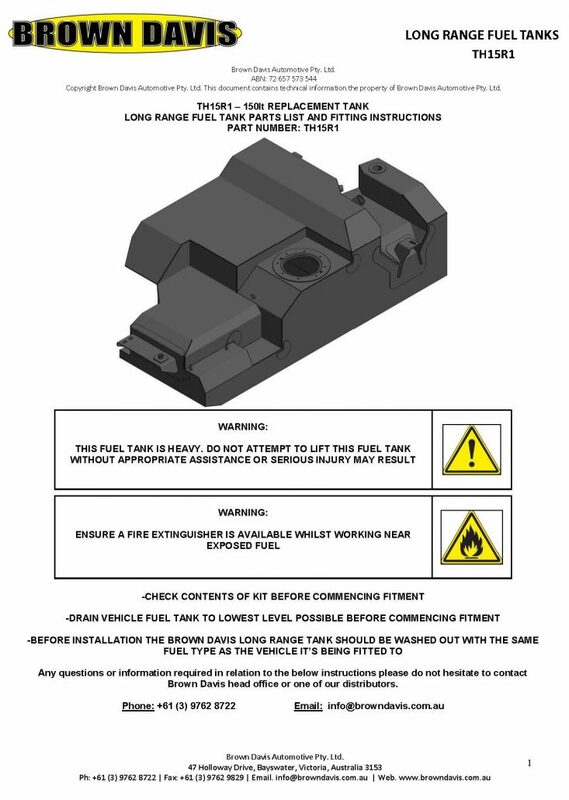 This kit makes it possible to track the fuel level in the Tray Tank. A sender unit and LED gauge are supplied to give you accurate fuel tracking. 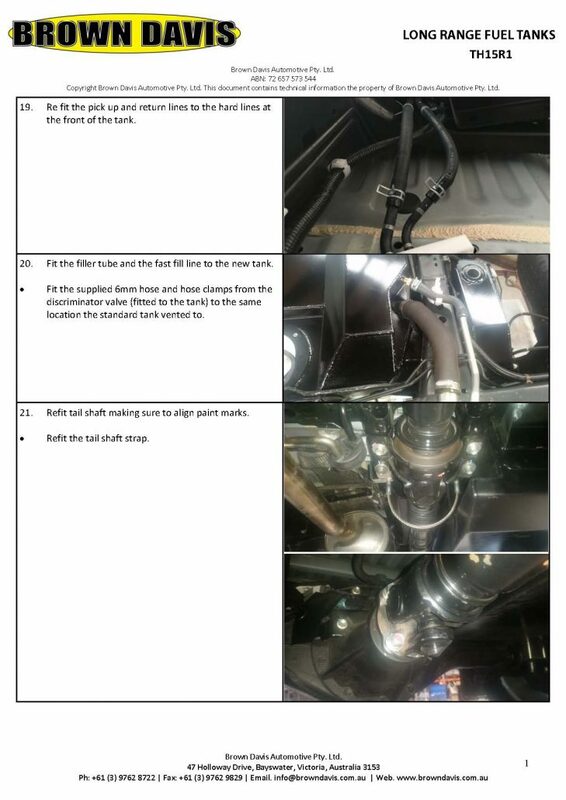 The Brown Davis Tray Tank comes with step by step instructions that walk you through the core steps of the install. 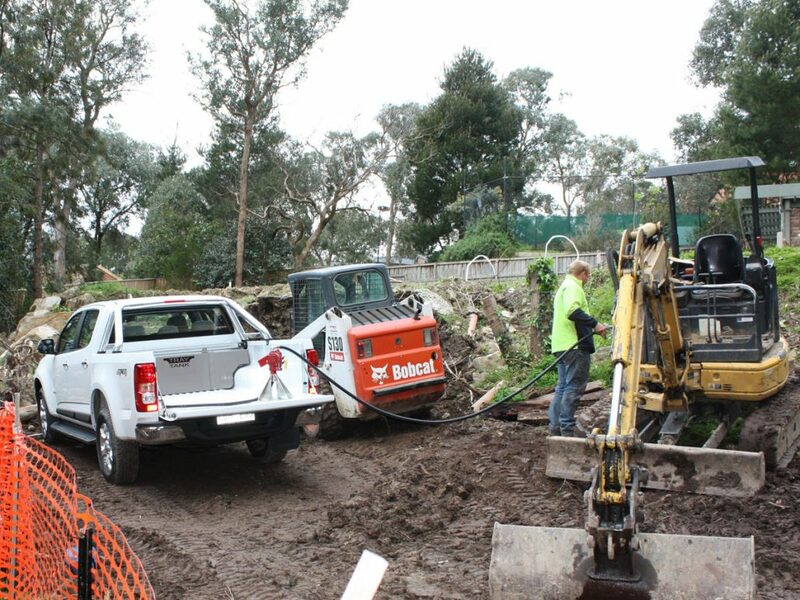 Keep in mind this tank is designed to fit all of the ute range and may require drilling, spacers and other small mods to fit the vehicle range.